No matter what you call them. . . 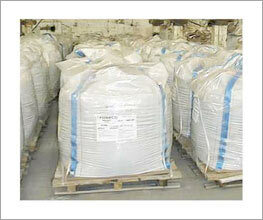 Bulk Bags have many names, come in all sizes and shapes and can hold any type of powder, chemical or seed. Bulk bags have blended into the very fiber of America's manufacturing side by offering the best in low cost packaging options. Whether you ship carbon, chemicals, plastic pellets, resin, soybeans, wheat, starch, minerals or just about any type of powder, Big Bags are your best option. They also work well for dust collection and many environmental applications including paint sludge and other clean ups. Originally called Flexible Intermediate Bulk Containers, the name says it all. But, no matter what you call them they will be the answer to most of your packaging needs. Easy to fill, even easier to empty, strong, durable, flexible and easier to handle than boxes or 50 and 100 pound sacks. The Bulk Bag is helping to move products and drive down packaging costs all over the world. If you are not sure if Bulk Bags can help you or if you want to know more, we're here and ready to answer your questions. If Bulk Bags are right for you we can help with great designs, custom manufacturing, excellent service, and low pricing. Our Bulk Bags are custom made using only the highest quality materials.